Whether you are new to YouTube or have been vlogging for a while you probably want more views. Having entertaining and/or informative content is the most important thing, but making great videos can only get you so far if people never get a chance to watch them. There are strategies you can use to make sure people get a chance to watch your videos in the first place. In this article, we will let you know how to get more views on YouTube. A big part of how to get views on YouTube is making sure people get a chance to watch your videos. People cannot click on something that does not come up in their search results. If you want people to get the chance to see your vlog you need to tailor the titles, descriptions, and tags of your videos so that they come up in searches. A good way to start is to do a search for your topic and check out how videos that come up first are tagged. This will give you a sense for what keywords you should try to incorporate. For a more in-depth explanation of how you can use your titles, descriptions, and tags to get more views read ‘How To Upload Videos to YouTube’ and watch Tasha’s video. If somebody is watching your video and enjoying it then they will probably welcome the chance to check out similar content. At the end of your videos always include a link to one of your previous videos. If somebody has watched your video all the way through then they must have liked it, and there is a good chance they will click your link. 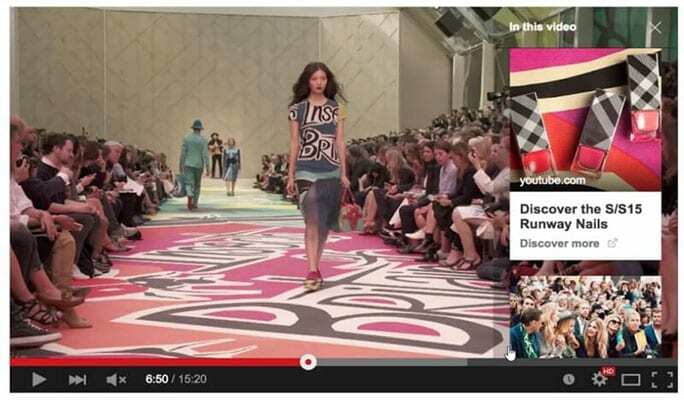 You can use either YouTube Cards or annotations to redirect viewers to your other videos. You do not have to limit yourself to providing links only at the ends of your videos, but you should never include more than three total links in one video. If there are too many then people will start ignoring them. Playlists work for the same reason that linking to your other videos does. If somebody likes what they are watching they will probably like watching something similar. The great thing about playlists is that the viewer does not have to take action and click on another of your videos – one just automatically plays when their current video ends. People watching a video on a playlist are more likely to watch multiple videos from that playlist. If one of your videos is ranked high on a YouTube search, and that video is also on a playlist, then your playlist will also come up in that same search. This will put your other videos in the path of potential viewers. If you can get more people to subscribe to your videos then you will see your view counts start to snowball. How do you get people to subscribe and share your videos? Ask them to. People are more likely to subscribe or share if they are prompted to, so make sure to remind viewers to subscribe and share in every video. Consider putting a ‘subscribe’ button at the end of every video. The overlays that show up in the videos are the YouTube cards. In the overlays, you may add any link, call-to-action-button, image or a title that can explain the content of your video or help in sales. For instance, when you create a video series, YouTube card helps your viewers to get to the webpage directly when you mention the link on the card or find and watch the following video in the sequence easily. The YouTube end screens are one of the best ways to get YouTube views. It offers several options to your viewers through the Call-to-Action button when you create your brand. You may consider inviting your audiences to subscribe and suggest a few videos that they may like from your channel. The end screens appear at the last 20 seconds of your video and up to 4 elements can be added to each of it. You may also add your landing page’s link in the ens screen. In order to get more views on YouTube, the thumbnail image optimization can play a big role. For instance, a celebrity or superhero image can prove to be beneficial when displayed in the suggested videos section, organic search results page or while you share on the social media. It is highly recommended that only high-quality images must be used. The image must feature clear, comprehensible, and attractive fonts with facial-closeups. But, you may use it only if they’re included in your video. The image thumbnail must relate to the description and title you used for the video to boost its value. To get more views on YouTube, the content you offer must be valuable. It must either help people to learn something like how-to videos or keep people entertained and engaged. When you offer valuable content, people get back to you for more and also help in increasing views in your future videos. Without the viewers, it is not possible to get YouTube views so keeping your viewers in the loop is an ideal way to get more views on YouTube. For instance, when a viewer leaves a comment on your video, it may be a positive or a negative one, try to respond in a much detailed manner without ignoring the comment. When you be a part of your viewer’s community and engage in their discussion, it shows you care for them and think about their success. You may try to know if your content is helping them out and in return, they might remember your generosity and view more of your content in future. Do not be too pushy, just share your views or products and content. To achieve success, it is essential to experiment, track the results, and make necessary changes as per requirement. The YouTube Analytics helps to check the videos that performed best, the engagement of the viewers, and your audience’s demographics as well. With a detailed report, you can make necessary changes to your strategy that can help you to get more views on youtube. Using the strategies explained above you do not need to leave the success of your videos up to chance. It is often completely random which YouTube videos go viral, but you can have a lot of influence over how many views you get. Support your own content through links, playlists, and in video promotion. Also, make sure your titles, descriptions, and tags are optimized for YouTube searches. These are great methods for getting more views on YouTube.